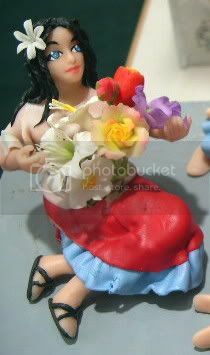 Im happy that my polymer people inspire people and for those who have seen them, you may note they are often accentuated or even overrun with gorgeous polymer clay flowers. These flowers are hand made and you can do it yourself! Below are links to the blogs Ive written that are polymer clay tutorials, as I do more blogs, more links will be added, if you have a special request, let me know. Coming soon are sunflowers!